Curating a small museum can be a real challenge given the constraints of space and budget, but the relative lack of accountability to an extended hierarchy of team members can also offer opportunities to get really creative with the collections and layout. As a result, smaller museums and galleries often have a highly personal feel that might be absent in their larger, flashier counterparts. 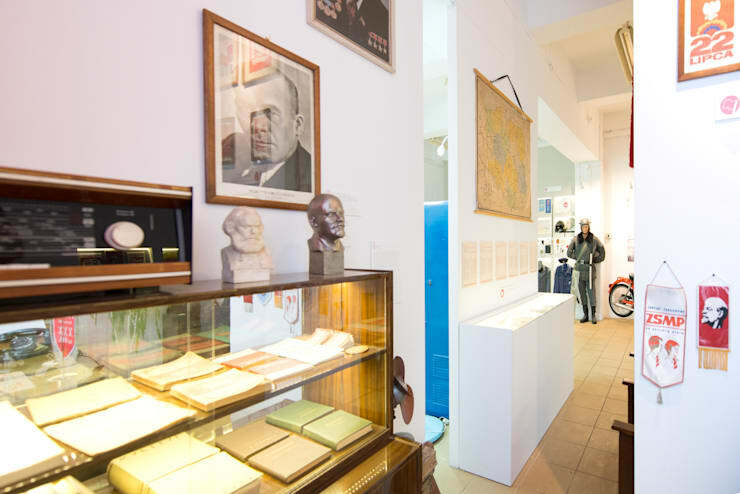 The PRL Museum in Warsaw, Poland designed by Dziurdzia Projekt offers a fascinating glimpse into what life was like for much of the population under communism. It’s a museum with limited space, but its smart layout makes the most of what’s available. It’s interesting not only for its wide range of objects and information relating to this crucial period in Poland’s none-too-distant history; but also for the overall feel of its design and the interior elements it incorporates. Based on the eclectic collection of clutter to be found around the main desk at the entrance, it’s clear from the beginning that this museum is going to be a low-key one, but an extremely interesting one. Who wouldn’t want to be greeted at the door by busts of Marx and Lenin? 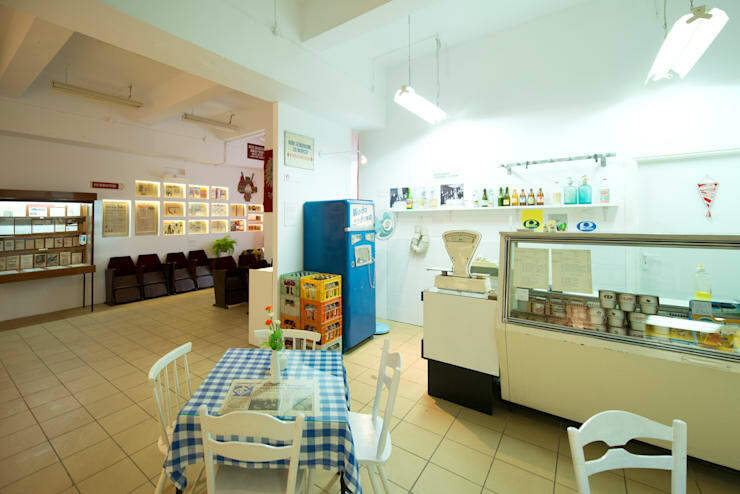 The layout of the museum is something of a hybrid between quirky junk shop and sleek modern display space. In some places, efforts seem to have been made to cover as much wall space as possible with an unexpected mix of items; in others, carefully organised display cases, like the illuminated ones sunk into the wall here, reveal the level of thought that really lies behind even those parts of the museum which appear fairly haphazard. 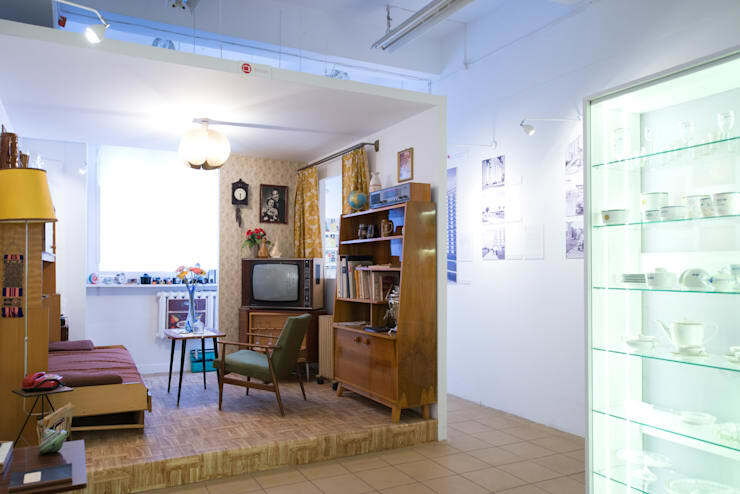 The faithful recreations of Communist era interiors are a huge draw of this museum. This hands-on living room area offers the best possible way of getting to grips with everyday experiences during this era. And, in addition to its educational merit, it’s an interior that offers plenty of genuine design inspiration, with its stripped-back wooden contents closely resembling the simple Danish furniture that has been very much in vogue over the past few years. Many of the items on display in the museum are so aesthetically pleasing that they could easily serve as decoration in a modern day home. 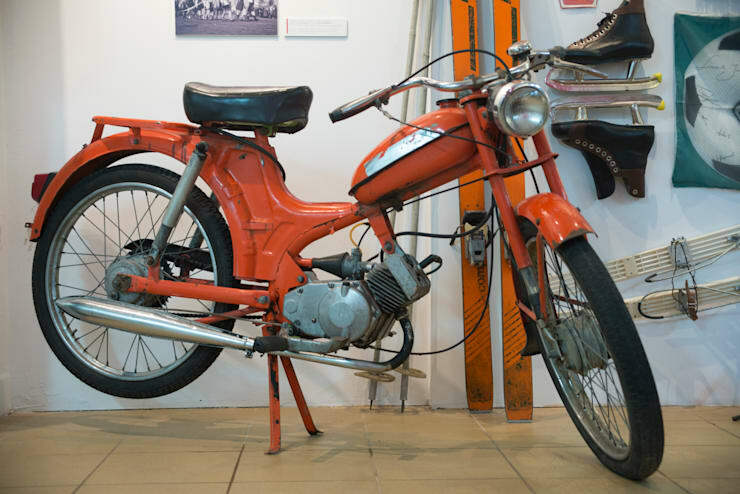 Check out this sweet little soviet bicycle, for example. In this recreation of a Communist era diner, nostalgia for the past meets a sense of relief that the past is over. Cute painted chairs and checked tablecloths soften the edges of what would otherwise be a far more austere scene. Tell us what you think of the PRL Museum here!